About Us | We provide training, cost-savings programs, advocacy, news and resources for the state's restaurant industry. 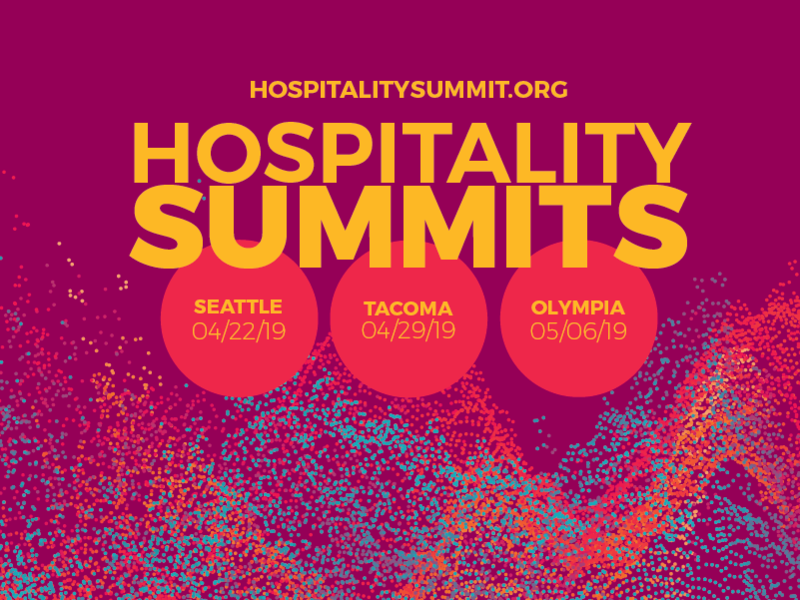 The Washington Hospitality Association is the state’s leading hospitality trade group, representing more than 6,000 members of the hotel, restaurant and hospitality industry. The Washington Restaurant Association (established 1929) and the Washington Lodging Association (established 1920) joined forces in 2016 to create the Washington Hospitality Association that supports and advocates for restaurateurs, hoteliers and related hospitality industry professionals in the state capitol and communities statewide. Passion To Serve: We have a passion to serve the hospitality industry and our communities. Attention to Results: We understand our goals and work diligently towards achieving them, with honesty and integrity. Accountability to Each Other and to our Members: We take responsibility for our successes, challenges and reputation and honor our commitments to each other and to our members. Commitment to Excellence : We commit to constant and never-ending improvement and strive for excellence in all areas of our association. Healthy and Constructive Conflict: We believe in healthy and constructive conflict as a tool for strengthening our shared vision of greatness. Trust in our Team: We trust and are open with our team members, honoring each other as individuals working towards a greater good, every day, both professionally and personally. The Washington Hospitality Association State and Local Government Affairs teams are focused on achieving wins for the industry and driving solutions to many of the issues raised in the halls and hearing rooms of the legislature in Olympia and in city council chambers across the state. In addition to their work building relationships with elected officials across the state, the State and Local Government Affairs teams support the association’s Grassroots program and the Political Action Committee. The team also staffs the association’s Government Affairs Committee, which is open to all active members of the association. Our Education Foundation provides Washington state’s hospitality community with educational, training and career development opportunities. Our programs focus on food safety, alcohol server training and professional development. We also play an integral role in supporting the future of skilled employees for the industry. Our vocational culinary arts program, ProStart, is supported in more than 50 high schools throughout Washington state. Visit our Training and Education section. The information and resources available through the WA Hospitality is vast. We publish a monthly news magazine, Washington Hospitality Magazine, provide online daily industry news, weekly emails and our Handbook for Excellent Restaurant Operations is regarded highly among restaurateurs. We also manage a network of consultants that are the industry’s best in class and as well as promote restaurants and hotels through our weekly radio show, Dine NW. Restaurateurs and hoteliers work on tight profit margins and any assistance helping their bottom line is welcome. We have developed a rigorous process to find reputable companies, leverage your numbers to negotiate pricing on your behalf. We offer a host of business assistance programs, such as a workers’ compensation program, health insurance and other money saving resources. Learn how you can take advantage of cost savings through our Wise Buy program.